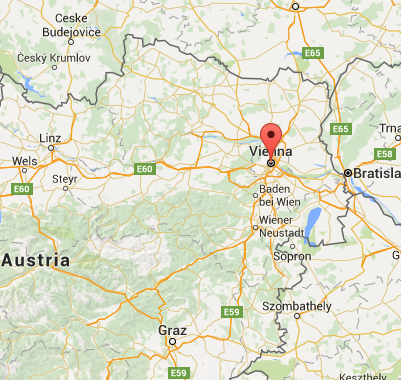 Having been involved in the Unit Costs Programme at PSSRU, University of Kent since its inception in 1992, it was great to be invited to Vienna and hear about developments across Europe. This is our 7th blog on Unit Costs (see the other on our blog pages). 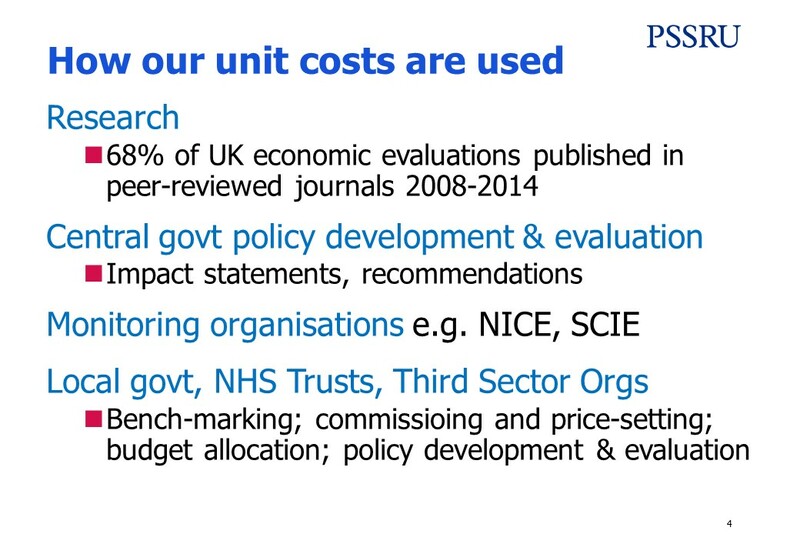 Others have publicised the release of the new Unit Costs of Health and Social Care volume, identified methods, or explored unit costs for a particular set of services. 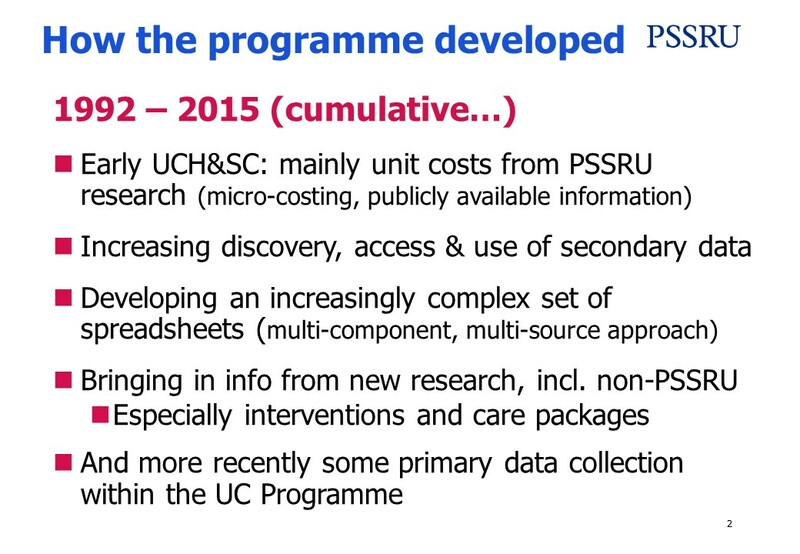 For this visit, I was asked to go back to the early beginnings of the Unit Cost Programme at PSSRU to support local work on unit costs. This Workshop was organised by Professor Judit Simon of the Department for Health Economics at the Medical University of Vienna and aimed to identify the next steps in developing a Unit Costs Programme for Austria. Susanne Mayer, working in the same department, has found the quality of the unit costs in previous Austrian economic evaluations to be very variable; a website with the findings from this review will be available soon. In Austria, there is a ‘mixed economy’ of funders, including social insurance organisations, the local government, the central Ministry of Health, and patients and users themselves. 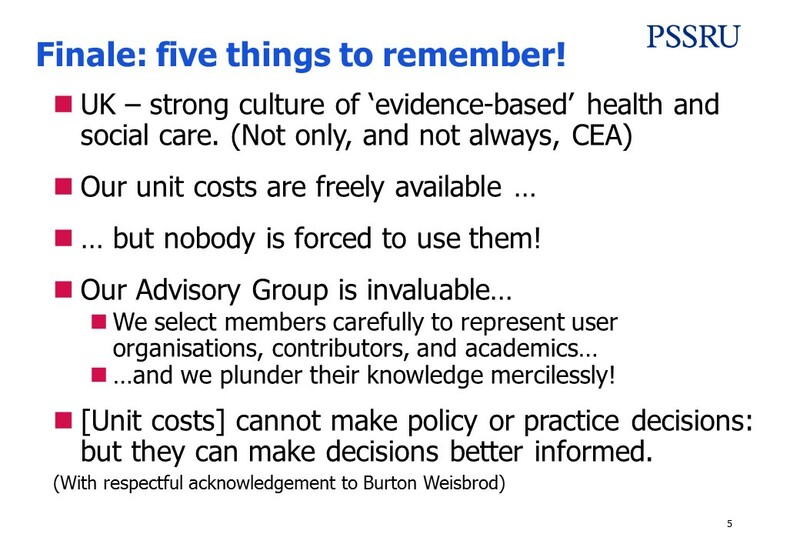 The funding picture is complex and, bringing even greater challenges, there are few publicly available data on which to base unit costs. 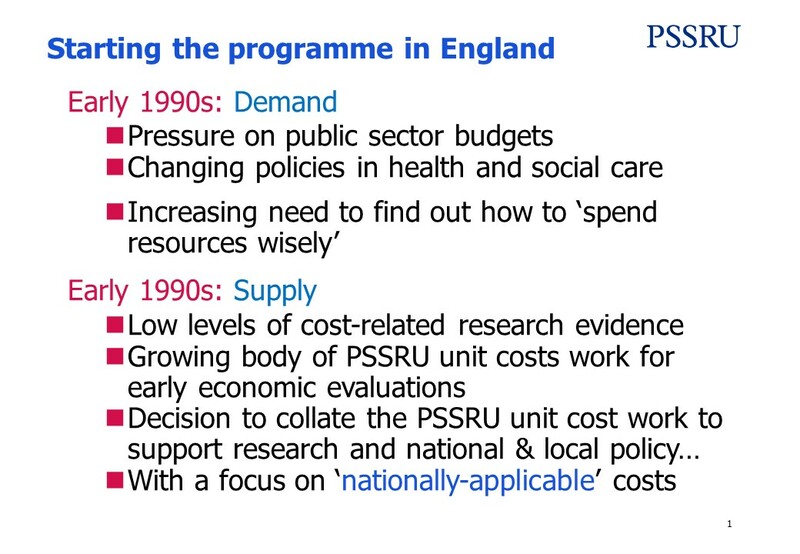 In talking about the PSSRU Unit Costs of Health and Social Care volumes, I was asked to cover four questions: how did the work start; how did it develop; potential difficulties; and who uses it. While it would be possible for me to talk for several hours (!) on these issues, I managed to skim the surface of the important points and keep the presentation down to five slides and take only a tad over 20 minutes. As part of the workshop, we heard from Leona van Hakkart Roijin from Erasmus University in Rotterdam on the Dutch economic evaluation and costing guideline. The 2016 version was launched only the day before her arrival in Austria. And for those of us whose Dutch is … erm… shall we say a little rusty?… the good news is that the English translation is underway. I’ll tweet as soon as it is available. We also from heard Jens-Oliver Bock (University of Hamburg) about unit costs for their health care services and in particular about the controversy within Germany around how unit costs should be calculated. 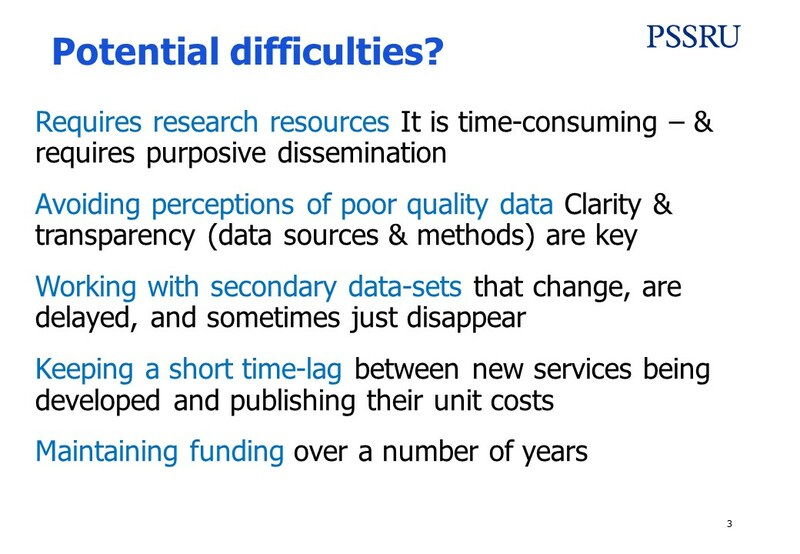 In the context of the complexities of their health care funding system, these discussions are as much about the perspective researchers should be taking (payer, public sector, societal) as the availability of data. And yes, I might just have found enough time for a couple of hours sight-seeing! The walk round the RingStrasse to see the collection of Bruegel’s works at the Kunsthistorisches Museum should not be missed on any trip to Vienna.